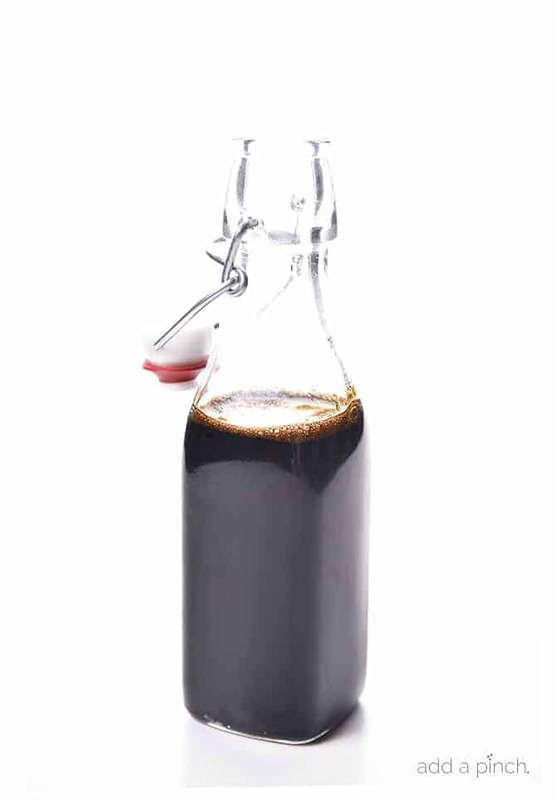 Homemade Balsamic Glaze Recipe – Balsamic glaze is so simple to make at home with just two ingredients! Delicious on so many dishes! 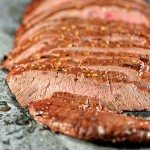 There are so many recipes that I mention using balsamic glaze which usually leads to questions: what is it? where do you get it? what does it taste like? 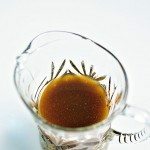 So, I thought it was past high time for me to share my own super simple recipe for homemade balsamic glaze that is a must-have in my kitchen! It takes two ingredients (and you probably already have them on hand!) and takes about 15 minutes to make! 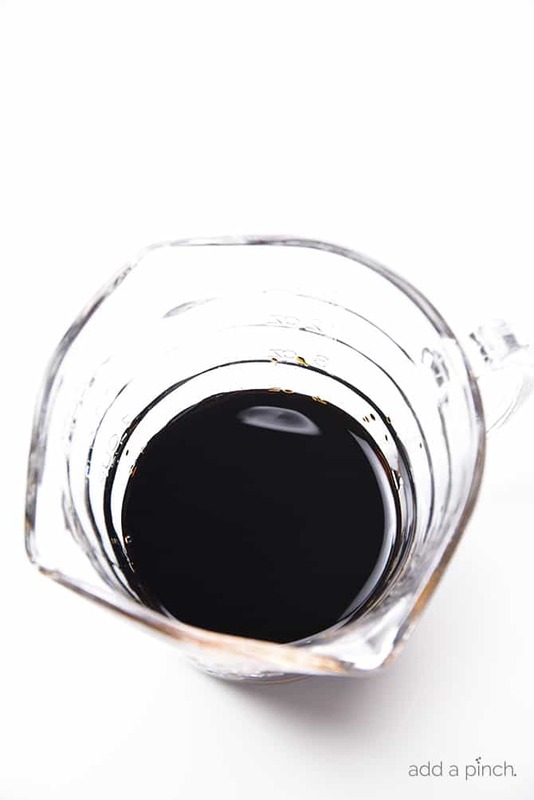 Balsamic glaze is the result of the blend of balsamic vinegar and a sweetener, such as honey, maple syrup, or brown sugar, that has been cooked down until it forms into this amazingly scrumptious thick, syrupy concoction. You can of course purchase balsamic glaze from the grocery store. It is usually sold alongside the balsamic vinegar and it generally in a little squeeze bottle. There are numerous brands available to choose from, but once I started making my own, I never looked back! To make it, start with a good balsamic vinegar. Traditional balsamic vinegar is made in the Modena and neighboring Reggio Emilia regions in Italy and will be marked on the bottles. Again, there are so many options available at the grocery store and in a huge range of prices. Buy the one in the price range that is best for you. You’ll add the balsamic vinegar and honey (or sweetener of choice) to a small non-reactive pot set on a cooktop over medium heat. Once it begins to bubble, but not boil!, reduce the heat and let it simmer until it has reduced by half and easily coats the back of a spoon, about 10 minutes. Then, remove it from the heat and allow it to cool. I then like to pour it into a glass bottle and store in the refrigerator to use. It will keep for months, but we generally go through it fairly quickly. You can size the recipe based on what you need – double it if you want to make enough to keep on hand for a while or halve it if you just want to make a little bit to serve over a salad. So the last question about balsamic glaze is what does it taste like? Balsamic glaze is a delicious combination of sweet and sour (a little more sweet than sour, I think). 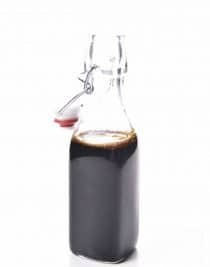 Here’s my Homemade Balsamic Glaze recipe. I hope you make it soon! Let me know what you love it on the most! 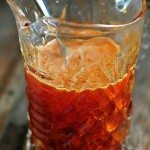 Homemade Balsamic Glaze Recipe - Balsamic glaze is so simple to make at home with just two ingredients! Delicious on so many dishes! Add balsamic vinegar and sweetener of choice to a small saucepan set over medium heat. Once the mixture begins to bubble, reduce the heat to medium-low heat and allow to simmer until reduced by half, about 10 minutes. Remove from the heat and set aside to cool before serving. I’ve always made balsamic glaze by just reducing the vinegar. The only one I really like any more is the Kirkland Signature balsamic from Costco. It never occurred to me that one could store the glaze for future use. Duh!! Given that my balsamic is already pretty sweet, I’d probably start with less sweetener and taste to see if it needs more. Thanks for a good lesson. I was at a wine bar in Little Rock and they had dates stuffed with goat cheese and basil with balsamic glaze. Amazing! 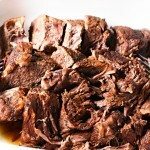 Just wanted to let you know, we made your Beef Pot Roast from the cookbook Sunday for Father’s Day and it went over really well. Great Recipe. Thanks for all the good recipes. 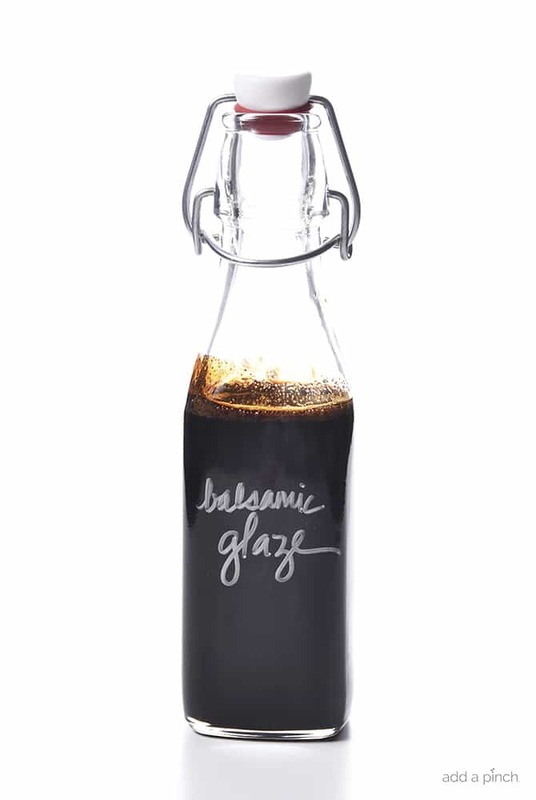 Would LOVE this, but is it at all possible to buy Balsamic minus the Preservatives ? Yes, there are brands of balsamic vinegar without preservatives. I don’t like them either. I hope this helps and you enjoy it! Thanks! Omg! So Good! I did on flat bread with mozzarella roasted tomatoes bacon and scallions and drizzled the glaze over it.It was hit of party. Thank you for sharing? It is half a cup – (1/2 cup). Thanks! 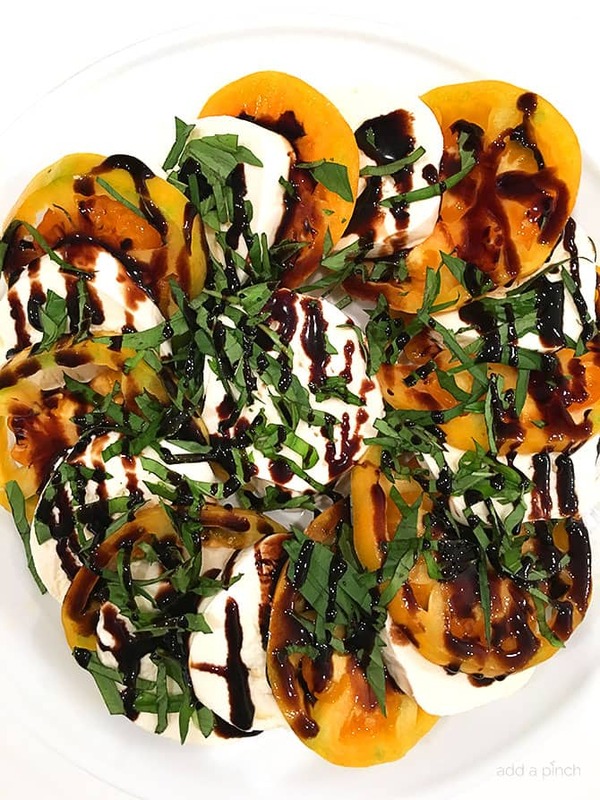 Robyn, I made the Balsamic glaze this summer with your Caprese Chicken. We loved it! I’d like to give as Christmas gifts. Can i make it ahead, keep refrigerated, and give away? I did keep mine in the refrigerator for at least a month, and it seemed ok. Your thougths? Thanks. This took far longer than 10 minutes to reduce. Was I doing anything wrong? 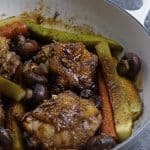 I live in hot, humid Georgia and cook on a gas stove, which mine might be done a little faster than others. You may want to turn up the heat a tad and see if that helps. Thanks! Oh my stars and bars! This is so scrumptious! thes best balsamic glaze ever! Made bruschetta topped with this glaze. Ate them all. Oops! Can you use simple syrup? 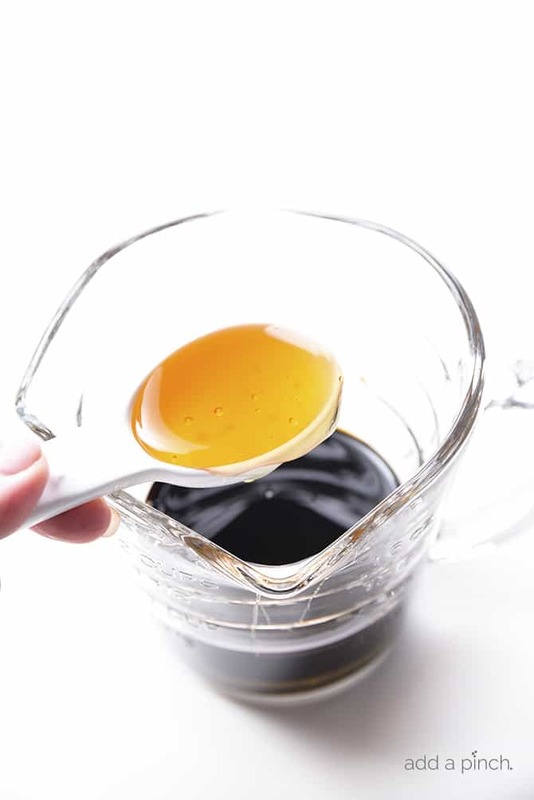 Or which is better – honey or maple syrup? It’s for asparagus and Gruyere cheese. Thank you. Hi I just came across this and am excited to try! How long can it be stored? I always use this recipe whenever I make grilled veggie sandwiches! So delicious! Absolutely scrumptious. I use it on everything. 10 out of 10 rating???? Just wondering if this should be stored in the refrigerator? It is delicious by the way!! Thank you!! Definitely trying this today. I’ve been using avocados more and I need something to make them in a different way. And I love that you said how long to store for – I’ll make some and jar it up! How do you clean those skinny neck bottles anyways? Robyn, I very much appreciate your no-nonsense approach to home-cooking. that I would use for only the one recipe. to make for my family. I appreciate that you share your personal experiences with your readership. PS: the Balsamic Glaze recipe turned out perfectly. I sautéed chopped kale and garlic in olive oil. I added cranberries and chopped cashews then drizzled the glaze over all before serving. What a hit…It felt so ‘gourmet-ish.’ ha! I used maple syrup to sweeten and drizzled it warm over a wedge salad with black olives, gorgonzola cheese crumbles, tomato and bacon bites and a little blue cheese dressing…delicious! I used honey and an aged balsamic. **warning: don’t walk away from this or your balsamic glaze will turn bubbly then directly into balsamic glue. Lol. 2nd attempt was delish. Btw: You can’t tell it’s burnt by looking at it but when the sweet smell gets the slightest smell of burnt sugar. As it cools the burn taste becomes more noticeable. Simple and tastes great! I added some chopped shallots. I’m so excited to try this tonight! I’m making Olive Garden’s Steak Gorgonzola Alfredo and it is drizzled with balsamic glaze. 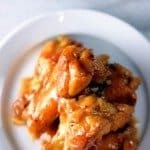 My store doesn’t carry it premade (in south Arkansas), but found your recipe and am happy to have both ingredients already in my kitchen! The dish doesn’t taste the same without it! Thanks for this recipe! How should I store the glaze. On the shelf or in the refrigerator? Hello! I was wondering what you would recommend to make this a sugar free option. Can I use swerve (confectioner or granular) or stevia as a sweetener? If so what would the measurements be? 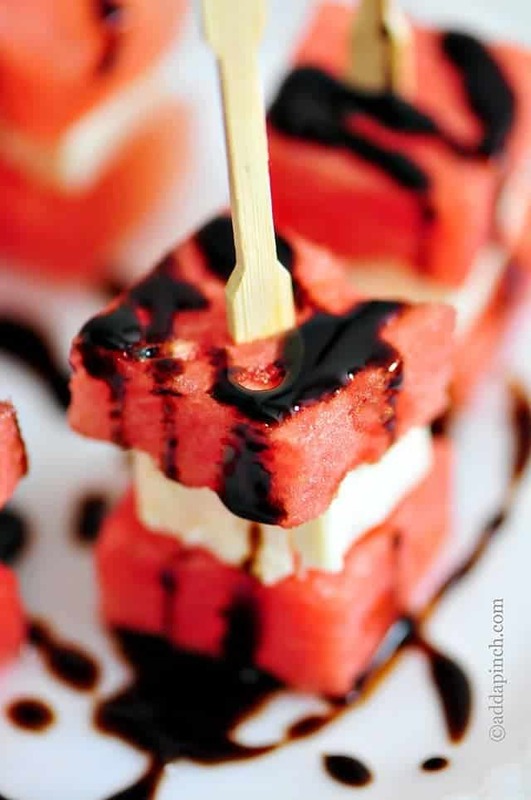 I made this recipe for the balsamic glaze last evening and I received raves! I drizzled it over salmon! Best of all, it was so easy to make! Thanks so much for adding spice to my recipes! Cooked up a small qty. Used honey, and added some grape jam. Drizzled the glaze on some white hot dogs, from upstate N.Y. So close to a family recipe of 50 years. This good on pork chops and pork loin. Time to cook up a bigger batch, more white hots in the freezer. I made it tonight for a caprese pizza. And I found that it was still a little runny did I do something wrong? Awesome quick and simple ! How long do you believe this will last in storage?? Thank you for sharing your recipe. I tried it using the honey and it was very good. The half cup actually reduced to a quarter cup which was just enough. Try it on crispy deep fried brussel sprouts. You will he amazed! Delicious! Right after I made it for the first time, I ordered a cute little jar to make more and store. I see you say that you keep yours on the fridge. When I did that, mine got very, very thick. Does this happen to yours?? Is keeping it on the shelf an option, or do I need to keep it on the fridge? Hi, I made this divine thing 😋 and it’s was liked by everyone. How long can we store it in the refrigerator? So glad you enjoy it! It should last for a couple of weeks stored in the refrigerator. Thanks! Would like to know which brand of balsamic vinegar used.Was it the thin stuff on the grocery shelf or the thick balsamic vinegar. Hoping it’s the thin since the other is about $30 a bottle. Love how you used this glaze on such different recipes. I always like to keep some on hand in my refrigerator since there are so many uses for this. Thanks!